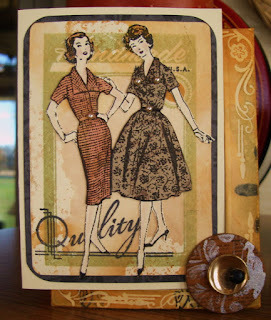 Thought I would try out some new die’s from Tim Holtz’s Alterations. 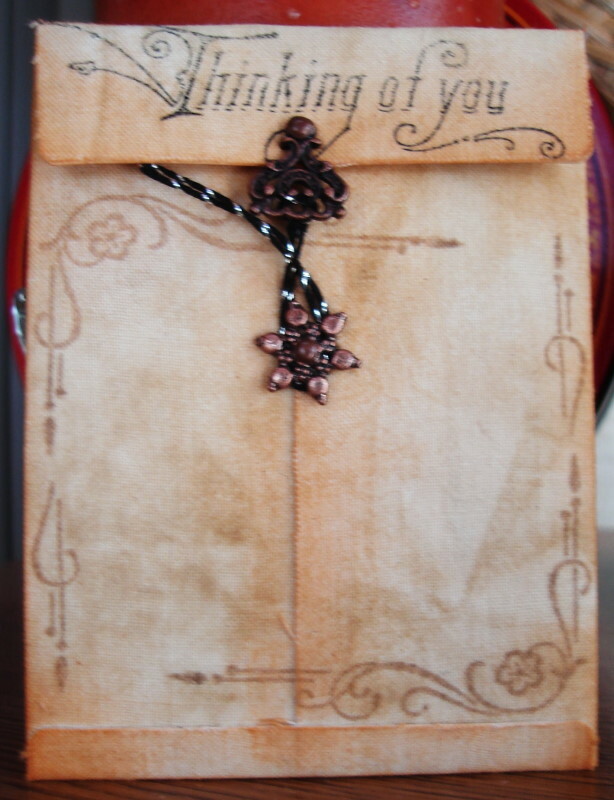 The Pocket Envelope Die (#657843) and ATC and Corners Die (#65714). The Hero Arts pocket card note is really a Thank you for a friend. 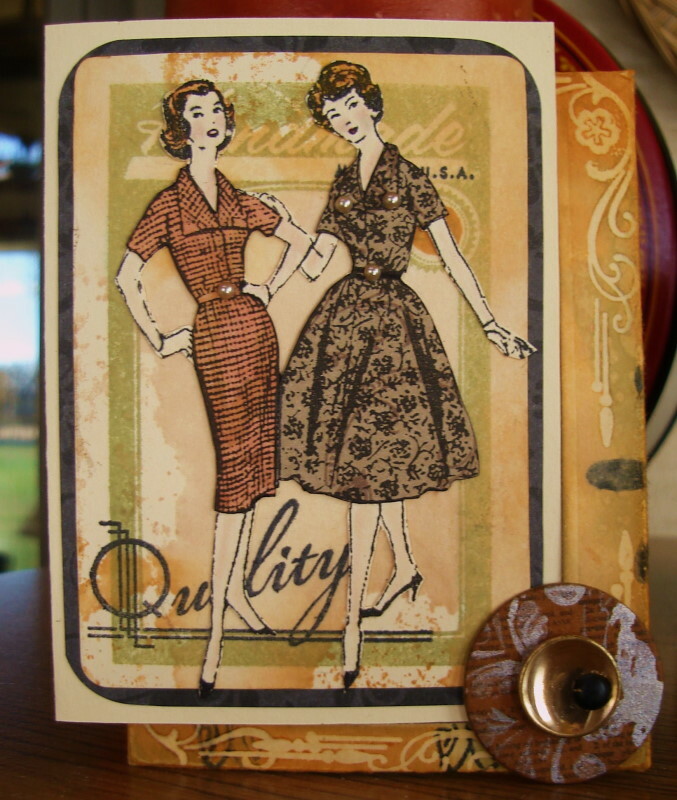 The two ladies were cut out from the background, stamped again (twice on different colored papers, then dressed and added to my background. Just like paper dolls. 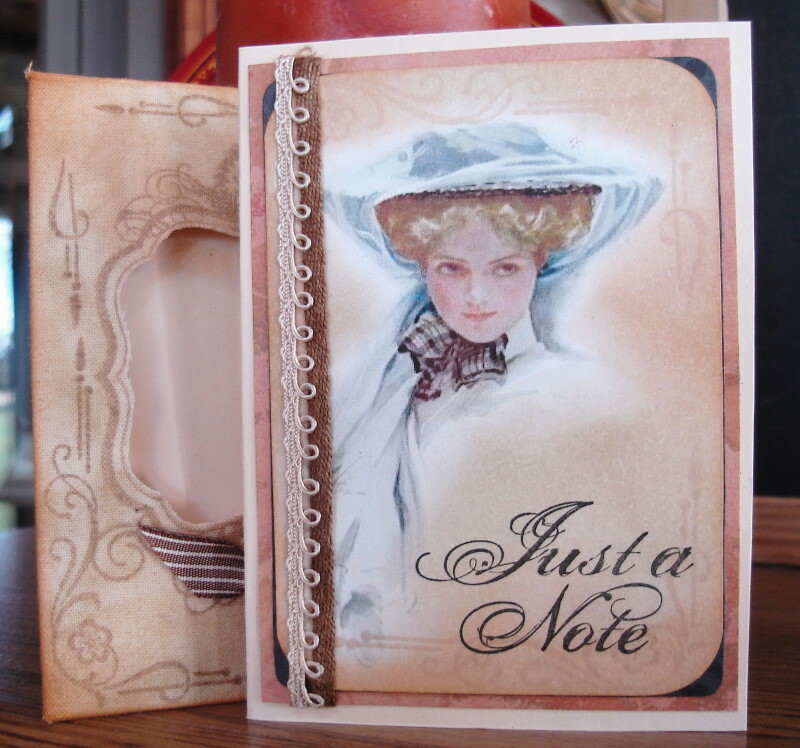 Each note card has it’s own different pocket. The other two note cards are downloads from The Harrison Fisher Paintings, just Google Harrison Fisher and go to images. Stamp credits are; Papertray Stamps, Hero Arts, Crafty Secrets, Fiskars, and Stampin’ Up. For this note the pocket envelope was stamped on Coffee Stained fabric. Thank you for your visit today, have a wonderful week-end. Vada, these are stunning! 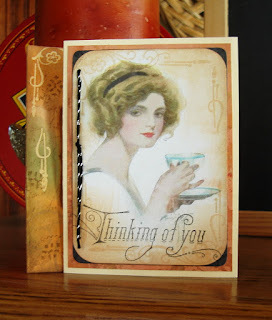 Love the vintage feel on each of these note cards! That fabric envelope is amazing! You know I was not going to buy that die, but not sure I can resist now! I also have that Hero Arts stamp!! Beautiful art again, GF! Hugs! You have blown me away with those creations. Ladylike and so elegant. I need to have another peek. These look like they have been professionally printed - amazing! The envelope is lovely too. Stunning, Vada! What a variety... I love them all. And thanks for your sweet (and very funny!) comments on my 'house falling' art journal page. How feminine, soft, and refreshing. Such pretty colors combined with incredible artwork. Thank you for sharing the pretty images with your special touch. These are fab, so beautiful.